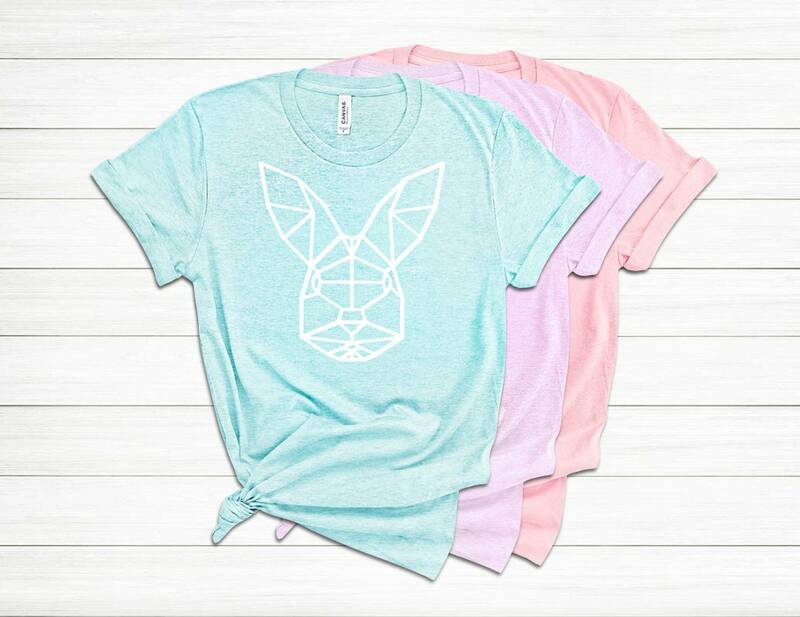 Perfect for Easter or cute to wear all spring long, and made in your choice of color! 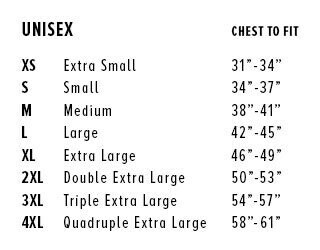 Size chart can be found in item photos. Finished with matte white rabbit graphic. Custom colors may be used upon request! This item is normally shipped within 3-5 business days. This item is shipped with Free Standard 3-5 Day Mail, unless an upgrade is selected. Includes copyright material of Cricut and Meadowlark & Bluebird. We accept Etsy Direct Checkout, Paypal, and Etsy gift cards. Many of our items are made to order. Shipping times vary, but all orders are shipped as soon as possible. You can find both processing and shipping timeframes for every item under "item details". If it is important that you receive your order by a date that is less than 10 business days from the date of purchase, please let us know when ordering so that we can work with you to ensure timely delivery. We are never able to guarantee delivery dates on orders shipped with standard or priority shipping. If you would like a guaranteed delivery date, be sure to upgrade to Guaranteed Express Overnight mail. If an Express package does not arrive by its guaranteed delivery date all shipping costs will be refunded. (Please understand that the Express Guarantee is extended by USPS and applies only to shipping costs. Express Guarantee refunds may take several days to process.) We cannot be responsible or provide compensation for orders that were delayed during shipping. We are able to pursue missing or late package claims on packages that have not arrived 30 days after shipment. The processing timeframes listed in our shop refer to business days. The stated turnaround time begins on the first business day after the order is placed and excludes Saturdays, Sundays, and holidays. All orders placed over a weekend or holiday are considered to have been placed on the following business day. If you should need to replace or modify the shipping address associated with your order, please let us know immediately to ensure the change is processed. We cannot be responsible for shipping delays or losses caused by an incorrect address. If you place multiple orders that are all to be shipped to the same address, we will combine them into one shipment, unless requested otherwise. Packages shipped Standard First Class mail and Standard International mail do not carry insurance against loss or damage. Priority Mail offers up to $50 of insurance, and Guaranteed Express Overnight shipping offers up to $100. If you would like to add shipping insurance to an uninsured order, or increase the insurance value beyond what is included, just let us know! We cannot guarantee compensation in case of loss or damage of an uninsured item, and in case of a partially insured item can only provide compensation up to the value of the insurance. However, we will make efforts to replace the item if possible. In case of loss or damage of an uninsured item, we are happy to replace the item. In case of partially insured items, we may provide either a refund of the insured value or a replacement item. Customs requirements prevent the shipment of live seeds outside the US. USPS standard shipping does not provide tracking information for packages that have left the United States. We are happy to ship overseas, but delivery times do vary and we cannot guarantee delivery by a particular date. International buyers are responsible for any import duties or taxes for their country. We want nothing more than for every client to be 100% satisfied with their order. If you are in any way unhappy with your purchase, as a first step, please contact us within 3 days of receipt. We will make every attempt to solve any problem you may have, and if the situation cannot be rectified we are happy to accept the complete order back in its original condition for a refund within 7 days of receipt. Once the item has been received in original condition, a full refund (minus 10% restocking fee) will be applied to the order. Should your order arrive damaged or incomplete, please be sure to save all original packaging. To pursue an insurance claim or replacement for incomplete or damaged items we need a photograph of everything received, as well as one showing the condition of the original packaging. All claim processes begin as soon as these photos are submitted. Buyers are responsible for shipping costs associated with returned items. Our products are made with a process that utilizes handmade work as much as possible. Because of the handmade nature of our products they are completely flexible. We are happy to create custom orders of any kind. Any ideas or questions you have just let us know, we would love to work with you! Please understand that for custom/personalized items, 50% of the item price is considered a deposit and is not eligible for refund. For personalized cake toppers, banners, etc. we are always happy to send a proof photo before completing the item. Just let us know when you place your order that you would like a proof! Please understand that this may add to the processing time for the item, as we will have to wait for your approval before finalizing the order. When in the process of a custom order, please allow up to 3 business days to receive samples, proofs, etc. In the case of customizable/personalized items, the buyer is solely responsible for their use of any images, graphics, or text they incorporate into their item. In purchasing the item, the buyer agrees that they will not include any text, image, design, trademark, service mark, or any copyrighted work of any third party in their item unless they have obtained the appropriate authorizations from the owners. They warrant that their item does not infringe upon any rights of any third party, including copyright, trademark, right of publicity or privacy, and will not libel or defame any third party, and that they have all required rights or permissions necessary to incorporate third party material into their item. The buyer agrees that they shall indemnify Meadowlark&Bluebird against all claims, liability, damages, costs and expenses, including reasonable legal fees and expenses arising out of or related to any suit, claim, or demand arising from or relating to any text, photograph, image, graphic or other material that was not part of the standard site content and that the buyer uploaded or otherwise provided to us or incorporated into their item. To support the eco-friendly nature of our products, we use recycled biodegradable shipping materials when possible. Our products are completely flexible and we are happy to create custom orders of any kind. Any ideas or questions you have just let us know, we would love to work with you! Most of our products are available for wholesale. Send us a message to discuss pricing and availability! Can I order a different amount or more than what is available? Yes, if you need a different amount of something, or more than what is shown as available, just let us know! All of our items have a processing timeframe listed in their description. Note that these timeframes do not include shipping time, which varies, but is often 3-5 days for standard shipping. You will have the chance to upgrade your shipping method at checkout. These upgrades refer to shipping times and do not necessarily affect processing time. If you need an item to be shipped sooner than what is stated in the listing, just ask- we may be able to expedite your processing time! If it is important that you receive your order by a date that is less than 10 business days from the date of purchase, let us know so that we can work with you to ensure timely delivery! See our shop policies for more information on shipping and processing times! What are the shipping options? Is insurance included? Standard Shipping: expected- but not guaranteed- to arrive 3-5 days after shipment. Does not include insurance. Priority Mail Shipping: expected- but not guaranteed- to arrive 2-3 days after shipment. Includes up to $50 insurance. Guaranteed Express Overnight: guaranteed to arrive the day after shipment. Includes up to $100 insurance. Shipping costs will be refunded if the package is not delivered by the guaranteed delivery date. You can upgrade your shipping at checkout, or ask us before ordering. If you would like to add or increase an insurance value, let us know! In order to provide the fastest possible service, we do not send a proof photo of items with name personalization unless one is requested. We will print the name as it appears on your order. For name personalized cake toppers, banners, etc. we are always happy to send a proof photo before completing the item. Just let us know when you place your order that you would like a proof! Please understand that this may add to the processing time for the item, as we will have to wait for your approval before finalizing the order.